Happy Valentine's Day! I hope you have a wonderful time celebrating with your loved ones. 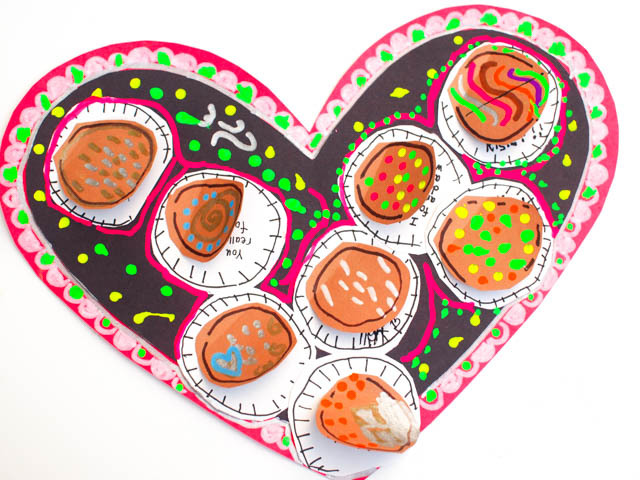 Today I'm sharing a Valentines's Craft that my son and I made this year for my husband. It's a lift-the-flap Valentine's Day Box of Chocolate Card. 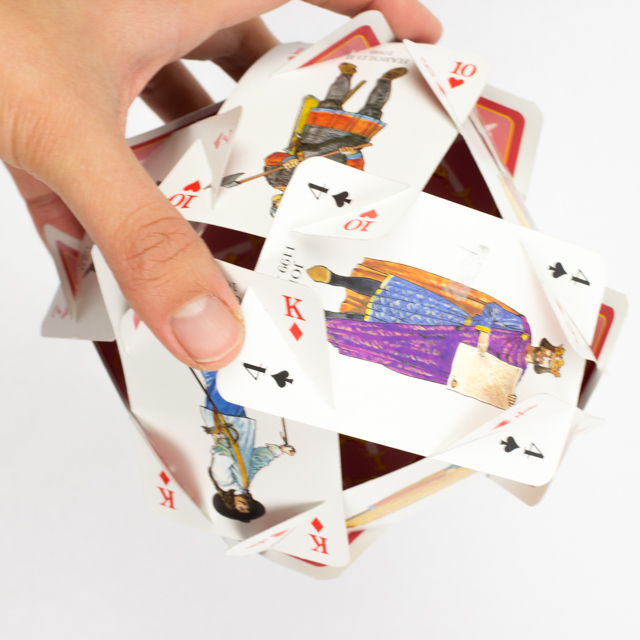 You lift the flap to reveal secret messages from the ones you love. 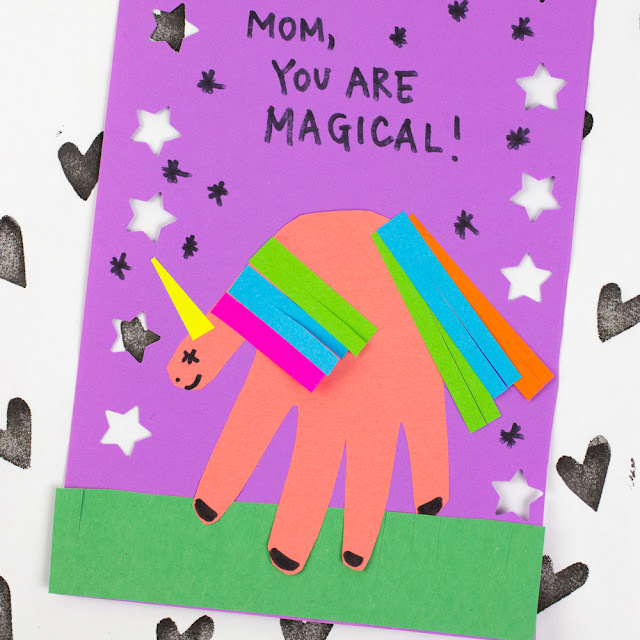 These DIY cards are adorable and seriously funny. I saw Craftwack's ferocious beings cards and knew that we had to do something with faces. So tada! Open up the smiling faces to reveal a secret message inside! Is someone you know having a birthday this month? Why not make them a cute cupcake birthday card? Today I'm over at DIY Candy sharing how I made this cute birthday card. I don't know about you, but there's something cute and fun about seeing super tiny or super big things. 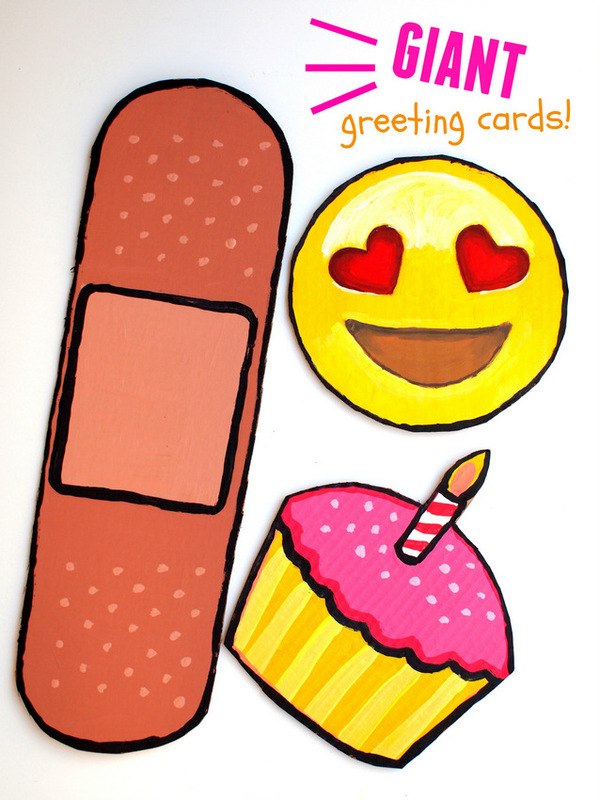 Today I'm over at DIY Candy sharing how I made these Giant DIY Greeting Cards! This past week Chuck attended his friends' (twin boys) birthday party. I was all set to have him cards for them.... but then we totally ran out of time. (Does that ever happen to you? It happens to me all. the. time.) So the morning of the party, I came up with this really, really, REALLY easy set of birthday cards for the two boys. 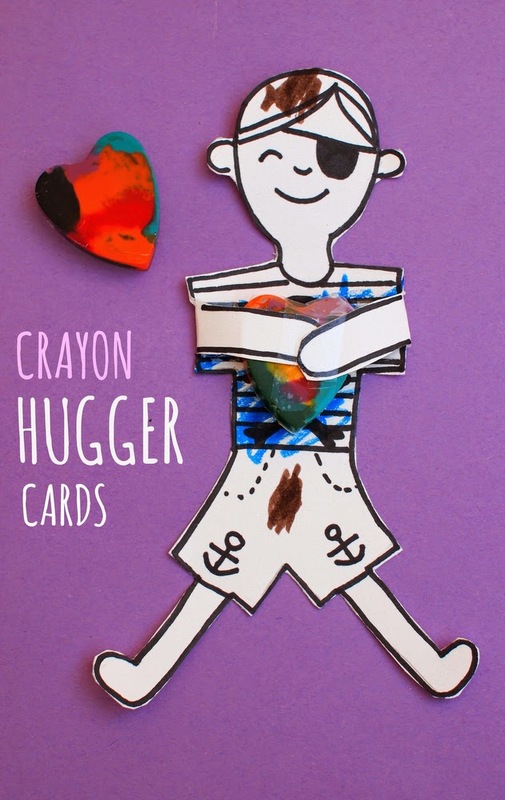 Inspired by Lia Griffith's super cute Valentine's Candy Huggers (which by the way, you should totally check out because she includes free templates for them), I doodled up some crayon hugger cards. Aren't they adorable? Here's the super quick tutorial showing how we made them! Happy Earth Day everyone! How's the weather where you are? It's slowly getting warmer and sunnier over here, so Chuck and I have been taking nature walks around our neighborhood. I was surprised to see so many tiny flowers blooming. (Nature is so resilient, isn't she?) Chuck really loved seeing the colorful blossoms too. We ended up picking quite a few and bringing them back to do some flower pounding. This craft basically involves hitting flowers (or grass or leaves) with a hammer or rock to release their pigment. As you can probably guess, it was a big hit with the little guy. (Sorry downstairs neighbors!) Keep reading to see how we pounded our flowers!